To win the title of the Cars.com Best Pickup Truck of the Year, the winning vehicle had to be a 2019 model and excel in quality, innovation, and value. The 2019 Ram 1500 is built with a stronger frame than previous models, giving drivers higher payload and towing power. Not only is this pickup powerful but its feature-filled interior stands out from the rest. 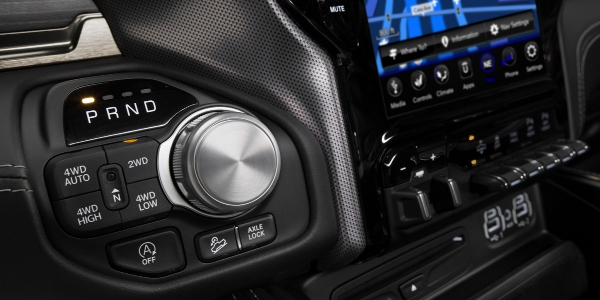 With a Uconnect 4C 12-inch touchscreen display that features split-screen capability and 360-degree camera views, the interior of this Ram is nothing short of impressive. The all-new Ram 1500 offers 12,750 pounds of towing capability with 2,300 pounds of payload, making this Ram one of the most capable pickups on the market. This 2019 model offers significant improvements in fuel efficiency across the 1500 lineup thanks to the new eTorque mild hybrid system. The 2019 Ram 1500 continues to impress automotive experts and consumers alike with its knockout performance, capability, and features. This guide from Fury Ram Truck Center breaks down the features that helped this Ram earn the title of Cars.com Best Pickup Truck of the Year. Are you looking to get behind the wheel of the all-new 2019 Ram 1500? Check out our online inventory to view our full lineup of in-stock 1500 models and schedule yourself a test drive to help you find your perfect fit in the driver’s seat of the all-new Ram 1500. This entry was posted on Wednesday, February 6th, 2019 at 7:22 pm	and is filed under Awards, Ram, Ram 1500. You can follow any responses to this entry through the RSS 2.0 feed. You can skip to the end and leave a response. Pinging is currently not allowed.